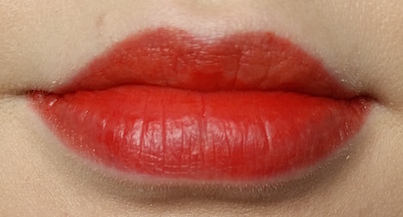 To apply, remove the lid and use the pen to colour in the lips by gently lining them first and then filling in. 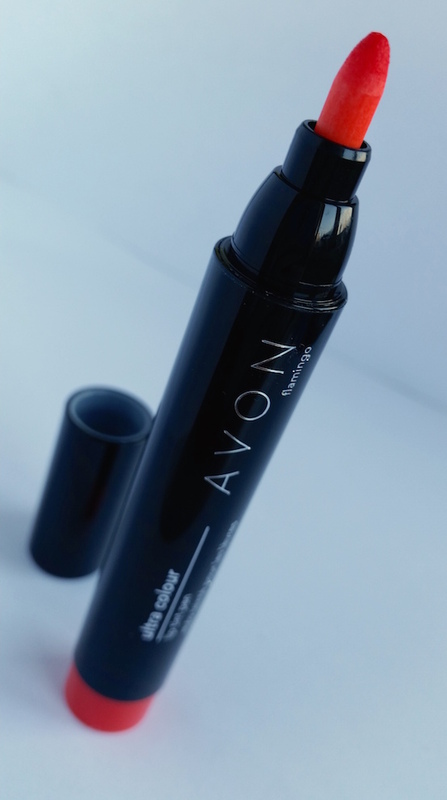 When originally applying Avon's Ultra Colour Lip Tint, the nib felt a little rough and dry and there was no colour appearing at all. However, after a few attempts things began to get moving. The colour applies easily and the formula has a noticeable fruity scent to it, but I really do not advise that you apply this to dry or chapped lips as the colour will end up patchy and flaky - totally not what you want! On smooth lips though, the tint looks even and bright. The Ultra Colour Lip Tint delivers on its promise to last all day. I am able to wear it from morning to night, but if your lips do tend to go dry then you may end up with some patchiness after a few hours. It also doesn’t budge whilst eating and drinking, so it’s a great choice for nights out or dinner dates (or dates where you'll be up to some smoochin'!). Removal does take a little longer than a lipstick would take to remove, but in my experience it doesn’t take any longer than other lip tints or stains have taken to remove. I have to admit, the swatch in the brochure makes Flamingo look a lot paler than it is in person. It can be easy to choose it thinking that you will be buying a pale pink-orange type of shade, but in reality it is quite a bold orange-red type of colour. I think that the packaging for the Ultra Colour Lip Tint is pretty nice. It’s sleek and looks more expensive than it really is, just like the Ultra Colour Indulgence Lipstick packaging. The only tiny (and stupidly petty) issue I have with the packaging is the coloured part at the end. The plastic just feels and looks a little less great than the rest. Overall I really like this pen. It takes a little longer to apply and remove, but the results do last far longer than a lipstick and stays put through eating and drinking making it far more durable. I'm already eyeing up pretty much all of the other shades! The Avon Ultra Colour Lip Tint pens will be available from Campaign 11 and will be introduced at a special price of £5.50 each, but will normally be £8.50. What are your thoughts on the new Avon Ultra Colour Lip Tint? What shades are you eyeing up?